Madeline Murphy Rabb’s career in the art world has been anything but a still life. Rabb (DSGN ’75) is founder and president of Murphy Rabb, Inc., a fine arts advisory firm in Chicago. 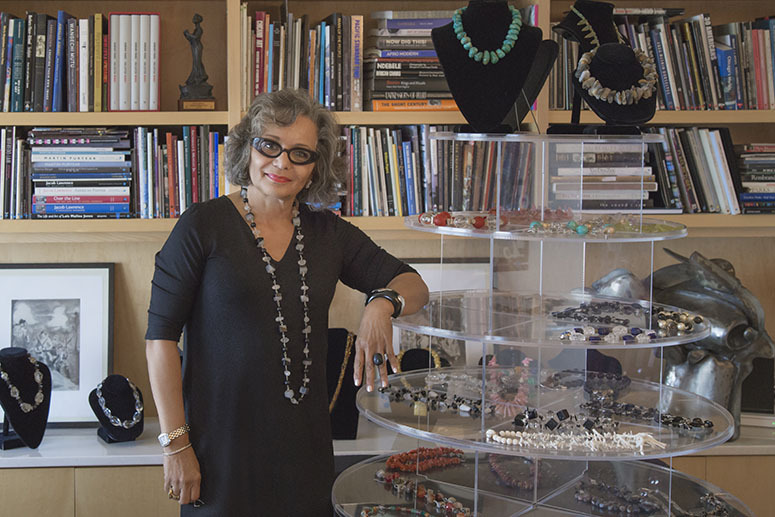 She has created a career landscape spanning more than 40 years as an artist, arts administrator, jewelry designer, collector, and appraiser. Specializing in works created by African-American artists, Rabb started the consultancy in 1992, inspired to advocate for African-American, mid-career artists by connecting them with patrons desiring pieces for their homes and corporate offices. Her client base speaks to her influence in the art world. After curating an art collection for the John Hancock Center offices of Quintin E. Primo III, co-founder, chairman, and chief executive officer of Capri Capital Partners, Rabb collaborated with him and his wife, Diane, to build an important African-American art collection in their home. Whether acquiring art for a private collection or choosing pieces that ensure a sense of comfort for racially diverse visitors entering John H. Stroger Jr. Hospital of Cook County, Rabb strives to find the perfect piece for each client. Selecting art begins with accessing an immense mental inventory of art, artists, dealers, and gallery owners. That hunt ideally involves early collaboration with not only her client but also designers and architects to ensure the space complements the artwork. 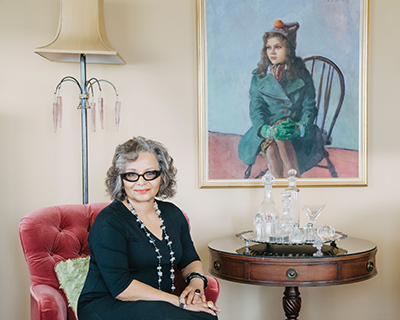 Rabb’s own space, a bold but elegant home and office overlooking Lake Michigan, is adorned with her extensive art collection, including the work of Kerry James Marshall and Lorna Simpson, the paintings of her great-aunt and portrait artist Laura Wheeler Waring, and Rabb’s early paintings and prints. After graduating from the Maryland Institute College of Art and marrying her husband (the late) Maurice Rabb, she moved to Chicago in 1966. While raising two young sons, Rabb enrolled in Illinois Tech’s design program to pursue her interest in printmaking. She worked as a studio artist until the early 1980s, when she began to feel especially isolated in her career and desired a change. She became involved in the late Harold Washington’s mayoral campaign and the Artists for Washington Committee. When Washington was elected, he appointed Rabb as executive director of the former Chicago Office of Fine Arts. The eight-year position led to one of the most ambitious projects of her career, that of guiding a committee in choosing artwork for the Harold Washington Library Center. “Buy art with your heart and your head,” says Rabb. For this artist, it is also the way you create a life’s work.